The Doors, Janis Joplin, Led Zeppelin, Van Halen, and Guns N'Roses are just of a few of the names that have graced the stage at the iconic Whisky A Go Go (on the corner of Clark St. and Sunset Blvd.) since it opened its doors in West Hollywood in 1964. 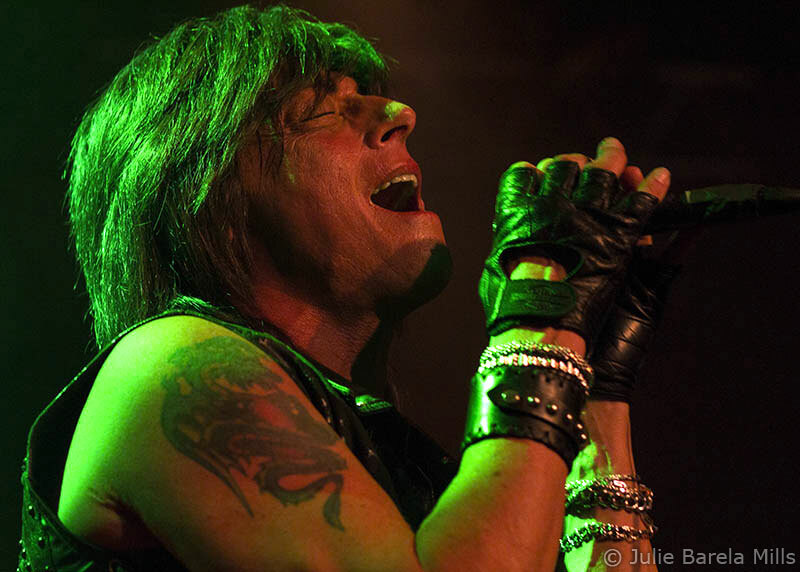 Now one more name can be added to that list - Joe Lynn Turner. 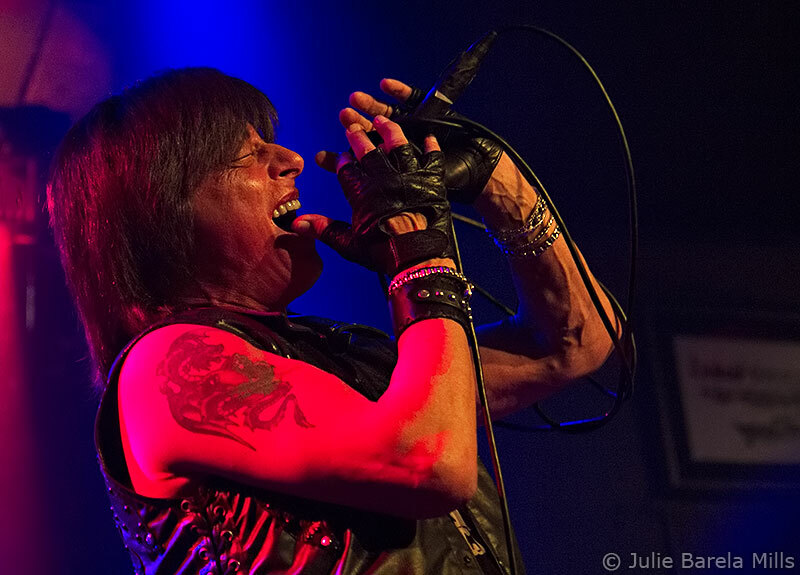 JLT's appearance at the Whisky was the second of two dates he played there on the west coast (the other being the night before at Count's Vamp'd in Las Vegas) after coming off his recent 10-day tour of South America with Rata Blanca's Walter Giordano. And for JLT, this was certainly not his first and only stint at the famed concert hall. In fact, during the concert, he mentioned that he had once performed within these hallowed walls as a member of Fandango. 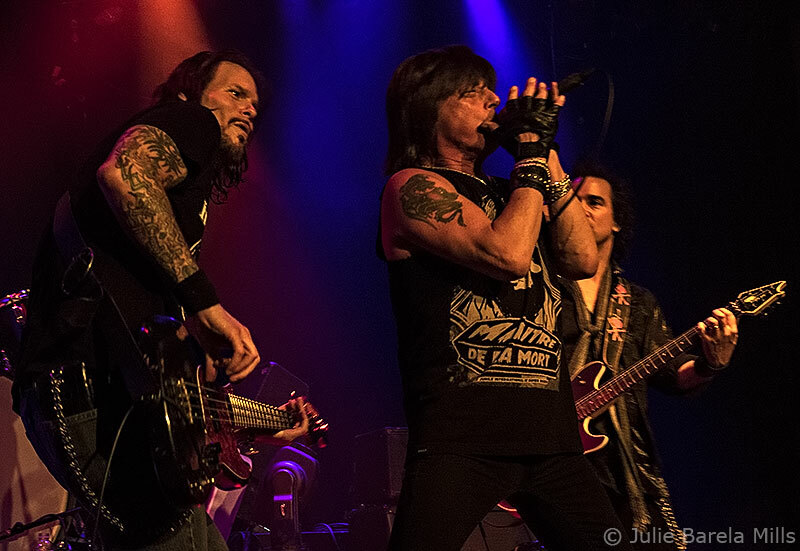 JLT's backing band consisted of longtime journeymen Steve Brown (Trixter, Def Leppard) on guitar, Sean McNabb (Quiet Riot, Lynch Mob) on bass, Matt Starr (Ace Frehley, Mr Big) on drums, and Eric Ragno (rock's go-to guy currently on tour with The Babys) on the keys. Being that it was the first time that I ever stepped into this venue, I was a bit awestruck, but at the same time nostalgic, imagining what it would have been like to see one of my favorite vocalists at the height of the club's popularity during the 70s and 80s. I suppose I was soon to find out. 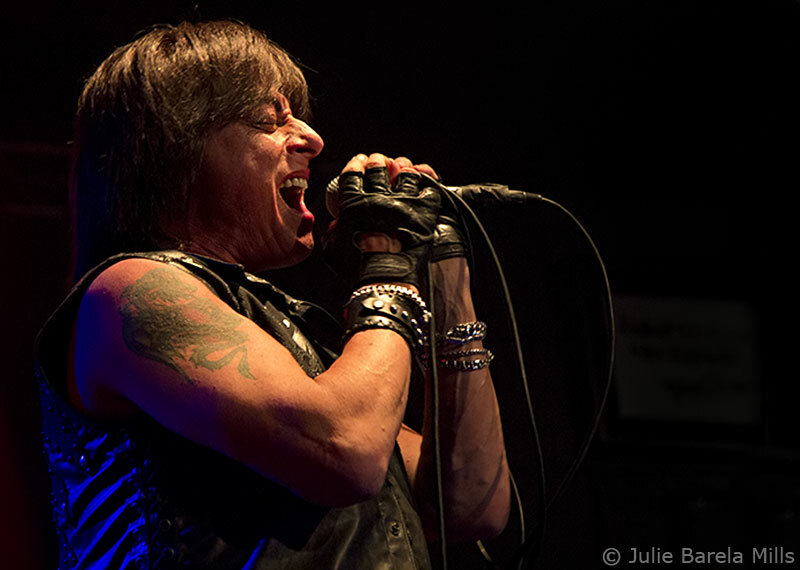 With six other bands preceding JLT's eventual performance, the start of his set began approximately four minutes past midnight with the intro to "Over The Rainbow", as JLT kicked into the first song of the night, "Death Alley Driver." Never missing a beat, he then segued into "I Surrender." Then pausing to say hello to the crowd below, his band broke into "Power" which lyric-wise has always resonated with me. Next, he played his signature track, "Street of Dreams" laying into a soulful improvisation near the end of the song, extending the track, with me marveling as to how ageless and powerful his voice is after all these years. Then with the story of how "Jealous Lover" came into being, he broke into that song, followed by "Spotlight Kid," and then to another fan favorite - "Stone Cold," while thanking his former bandmate Roger Glover for that one. JLT then paused again for a moment before he made his heartfelt dedication to the original "Man On A Silver Mountain" - the late, great Ronnie James Dio - as the crowd cheered, and then sang the chorus loudly with him. His introduction of "Can't Happen Here" briefly led into a plug of his latest recording (and to its title track) Edge of Tomorrow by Sunstorm. Both songs allude to the destructive nature by the human species and why the world around us is essentially spiraling out of control because of it. 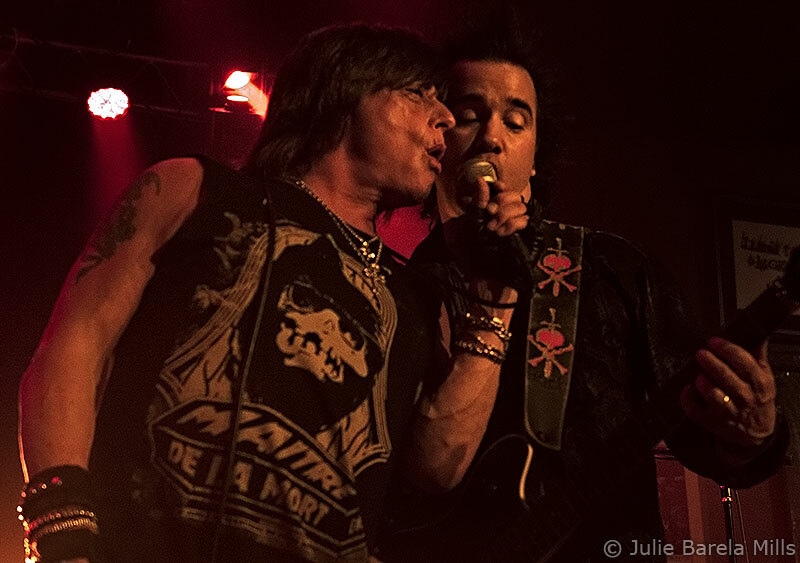 Being that he was in Hollywood, a couple of JLT's closest friend's (Heaven and Earth guitarist, Stuart Smith, and vocalist Joe Retta) joined him and the band on stage to play a couple of tracks from the Deep Purple catalog - "Highway Star" and "Smoke On The Water." Joe Retta did well on his delivery of both songs, but Smith sounded as if he had had a few too many brews that night, as he was making little mistakes during one of the solos which even a novice musician like myself noticed it right off. Hearing the song "Rising Force" (from his time with Yngwie J. Malmsteen's Rising Force) for the first time in the States in 28 years was an absolute treat to hear live once again. In fact, a recent post by JLT's Official Facebook page has suggested that he may change his stage song list next year to include more songs from his solo albums, as well as songs from other projects. Back to the concert, the second to the last song "Long Live Rock'n'Roll," received another great response from the crowd. Then just as the band were about to leave the stage, JLT asked the crowd if they wanted "one more." After receiving a positive response, Steve Brown began playing the first notes to "Burn. Later in the track, he also sang the famous 'Glenn Hughes' interlude to the song. All in all, the show clocked in at an hour and 19 minutes in total. And based on the overall reaction from the crowd itself, one could tell that neither they or I were disappointed by the night's performance.